1.- Llenar la mitad de cada molde con yogur griego y meter en el congelador 3h. 3.-Sacar los helados del congelador y llenar con la fruta la mitad vacía de cada molde; ahora meter en el congelador 3h mas. 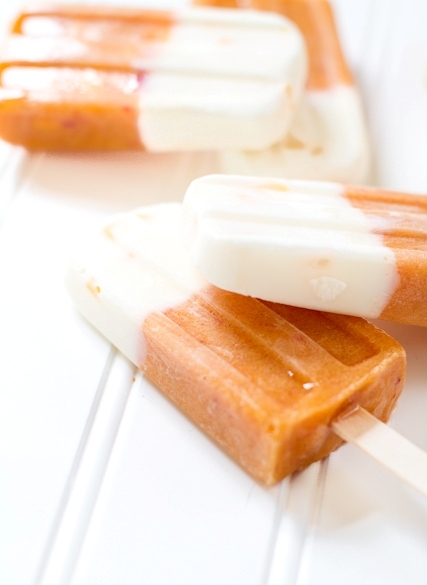 1.-Fill half of each mold with Greek yogurt and put in the freezer 3h. 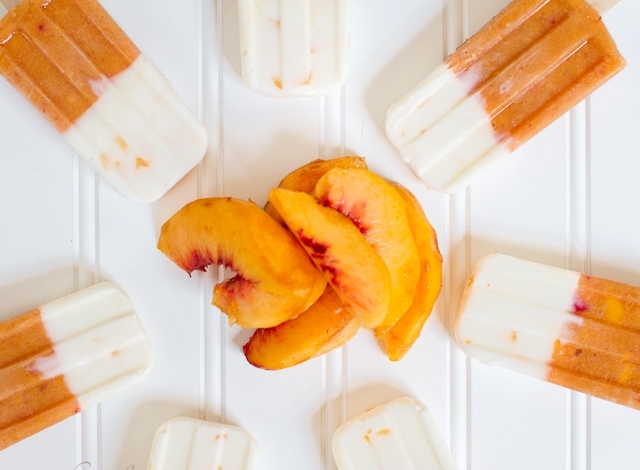 3.- Remove the popsicles from the freezer and fill the empty half of each mold with fruit ; Now put in the freezer 3h more.